UK Armed Forces Commentary: F-35 split buy idea is nonsense. F-35 split buy idea is nonsense. Press reports suggest that the RAF is again urging an early split buy for the F-35 programme, with the number of F-35Bs curtailed in favor of land-based F-35A. The idea is unworkable and highly damaging, and represent the fastest way to turn the carriers into literally wasted money by not having enough squadrons to ever fill up one. It takes a minimum of 4 (and arguably 5) squadrons to be able to deploy a full one enduringly on a long term operation. 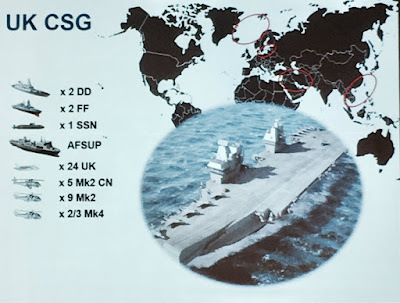 And it would take 3 full squadrons of 12 aircraft just to fill up one carrier (forget about filling two at once, that was never going to happen). 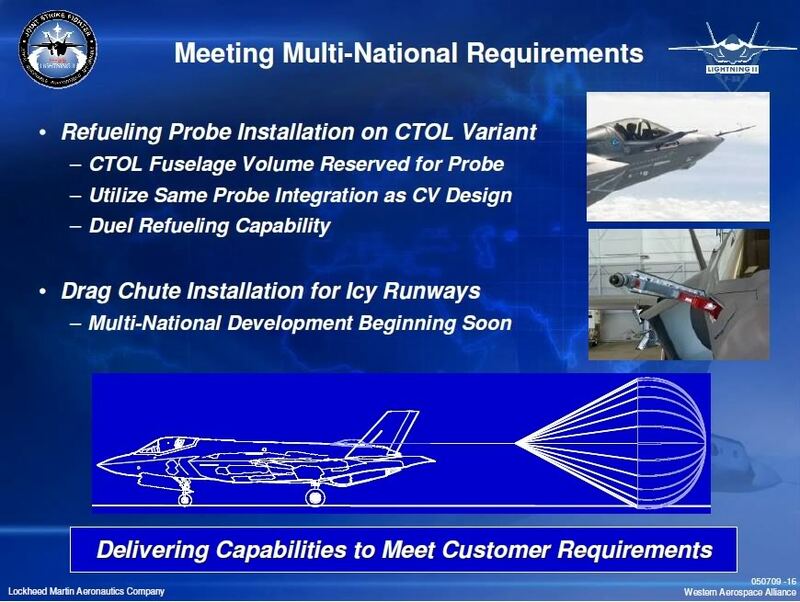 Current F-35 plan is for 4 frontline sqns, we were told last year, plus OCU and OEU. And in fact, there is no manpower for more unless the services grow or Typhoon squadrons move to F-35. So there is literally no room for a split buy. Unless the UK turns the carriers into a complete waste of money by literally not having the sqns to fill up one. On current plans, the F-35B fleet of 4 squadrons will support one sqn at sea for every deployment of the carrier, and a two-squadron deployment at least every two years. This is already a significant demand to be met with just four squadrons. Any reduction will result in the feared empty decks. 138 aircraft are arguably too many for 4 sqns, but too few for a split fleet of any relevance if we accept a minimum requirement of 4 B Sqns plus an adequate training and sustainment fleet behind them. To have a long-term sustainable F-35A force, you'd need another 4-5 squadrons, and you are never going to have money and men for those unless Typhoon goes. Considering current squadron numbers, it is already evident that the two SDSR 2015's "additional Typhoon Tranche 1 Sqns" are placeholders for F-35 3rd and 4th squadrons. Looking at planned peak Typhoon usage (assuming a 7 squadrons fleet, or even a 8 sqns one), from 160 purchased aircraft, the UK bought 20 to 22.8 aircraft per frontline squadron. The extra aircraft cover training and attrition and sustainment. Applying the same ratio to 138 F-35 suggests an achievable fleet of 6 to 6.9 frontline squadrons. Then again, we should keep in mind that in recent years no RAF squadron has ever actually developed a deployable strenght of 12 aircraft, while F-35 squadrons, supposedly, will have to. This requires larger squadron allocations of aircraft. Even if the F-35 ever grows to 6 squadrons (hard to say, as we have literally no idea over how many years government proposes to spread the 138 purchases), the question will still be, should we go for 4 + 2 or 6 of the same type? I'd still tend to say 6 of the same type give you a better deployable output. Gives you a comfortable 1 in 5 ratio for enduring ops and some space for reinforcements / another small, temporary operation elsewhere. 2 squadrons give you a very limited output. Not terribly much unless you come up with a very specific role for them. SEAD by buying AARGM ER, the one weapon i'd really like the UK to get and carry internally for obvious reasons. But that is all in a distant future, with too many SDSRs in the way. Now and for probably all of the 2020s, nothing should distract the programme offices from aiming for at least four B squadrons. Then, after that, there might or might not be space for more and different variant, depending on how Typhoon will be doing. Typhoon and FCAS, too often forgotten in this discussion. The RAF is working on FCAS, an unmanned combat aircraft for the 2030s, and while the UCAVs have no pilot on board, we all know that UAVs squadrons are actually very manpower intensive, as multiple shifts of crew are needed on the ground to cover the very long missions, which can last from a minimum of 12 hours (with a loaded up Reaper) to, in future, well over a day with Protector. FCAS will not be exactly lean-manned, even expecting greater automation to be part of its capabilities. 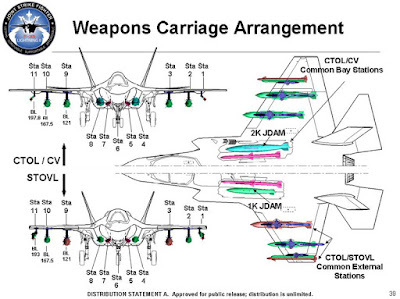 So, i really don't see where the room for an F-35A fleet is. A split fleet of 2 squadrons and 2 squadrons would be a disaster: neither of the two would be large enough to be truly relevant. See how the overall number of Sqns remains, essentially, unchanged. The additional Typhoon Sqns and then 809 Sqn on F-35B in the early 2020s essentially absorb the manpower released by the demise of Tornado. It is easy to see that the additional Typhoon squadrons are effectively placeholders for the 3rd and 4th F-35 squadrons to be built up in the late 2020s. The aim is to continue hovering at around 9 / 10 fast jet squadrons. It is hard to see how more sqns could ever be formed without an (unlikely) growth of the services in terms of manpower (and budget). Unless the number of A squadrons to be created 1) does not impact the construction of a sustainable and effective B fleet and 2) comes with a realistic and useful number of squadrons, i'd always recommend additional F-35B squadron(s) rather than splitting the fleet. 1) The UK has literally no weapon, in service or planned, which could give a sense to the A's slightly larger weapon bay. The weapons either fit the B or are too large to fit even the A. We can fill our mouths with speculation about new weaponry to fit in the larger bay, but there is no evidence of anything of the sort, nor any evidence of a real need to pursue such weapons. 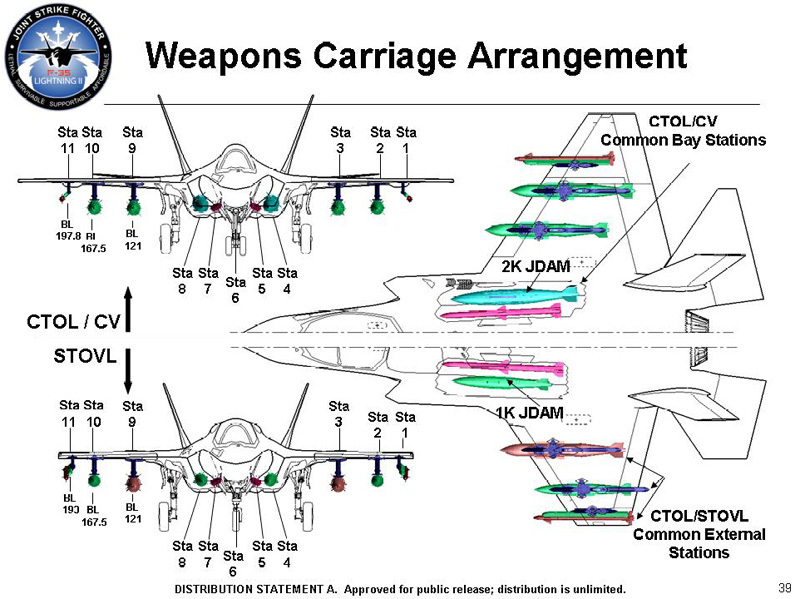 The F-35B has had its weapon bays shortened by 14 inches compared to the A and C variants. The stations 2 and 10 are rated at 1500 rather than 2500 pounds. Yet, both these factors are of zero relevance to the UK, which does not have weapons, in service or planned, hampered by these factors. 2) The UK is not equipped to air-refuel F-35A. While probes for the F-35A are a possibility, so far nobody has actually paid for them and requested them, having Booms on the tankers instead. Arguably, the UK too should go for the boom on Voyager rather than the probe for F-35A, considering the boom would also benefit Rivet Joint, P-8, C-17 and allies. Either option has a cost that eats into any saving enabled by the A being cheaper than the B. As does having two logistic and training lines, even though they are closely related and partially overlapping. The F-35A has space reserved for the AAR probe but so far no one has taken up that option. 3) An additional small fleet below "critical mass" is essentially a part-time tool, or a full-time tool at small number of deployable airframes (well below Sqn level). Not very helpful. An additional Sqn of the same type can actually affect the number of force elements at readiness a lot more. I'd rather have more deployable F-35Bs, even with their slightly shorter range, than two fleets locked in a fratricide battle for insufficient manpower and money. Could these be possible replacements for the Tranche 1 QRA Typhoons by the mid to late 2020's and not for anything else? If so, that would surely make sense. Alternatively put EMALS on P.o.W. 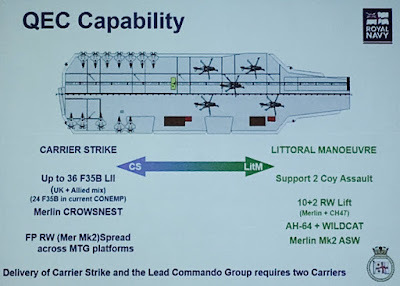 and buy the 35-C instead, so that both B and C variants could be used as well as landing U.S. and French naval aircraft for carrier strike. It is extremely unlikely. The math of the squadrons is very easy to make: there are currently 5 Typhoon squadrons, 3 Tornado Sqns and 617 building up on F-35B. That's 9. In 2019, Tornado goes out. Drop to 5 Typhoon + 617. But, by retaining Tranche 1 instead of binning it, up to 3 extra squadrons are to be formed, sticking at around 9. Then, in 2023, 809 stands up on F-35B, potentially bringing the total to 10. That's more squadrons than now, with the same manpower. Now, unless there are currently a lot of RAF guys sitting on their arses with nothing to do, we are at the very limit of what the available manpower can support. 8 Typhoon sqns, plus 2 F-35B sqns. 2 more F-35B sqns are planned. It is extremely likely that two of the Tranche 1 squadrons will disband around 2025 to make room for these two F-35 squadrons. Any additional sqn needs to be manned somehow. Where does the manpower come from? If they man F-35A, they have to come away from something else. Early Typhoon demise? ISTAR fleet sacrificed? As to the EMALS point. That option was studied at length a couple of years ago. The design picked for the carriers, despite claims otherwise, appears not to have facilitated such a switch. As I recall, the cost of conversion for both carriers was £2bn and years in dock. Not a very attractive business case (indeed one which is a fantasy fleet idea I am afraid). Actually, the two unnamed F-35 squadrons are almost certainly replacements for the two Tranche 1 Typhoon Squadrons. Still only four F-35 squadrons though plus 5-6 Typhoon. What sort of figures are we talking about here? A saving by purchasing the “A” rather than “B” version could save, say, up to $40 m per plane, or is that way out? That could enable extra personnel/crew to be engaged as well as extra equipment. One last question. When talking about four squadrons only being realistic, are we talking about Royal Navy and RAF figures combined, or just the RAF? Surely a planned purchase of 138 aircraft allows for more than four squadrons, doesn’t it? It is a significant difference for sure, but 28 million might still be too little to achieve value for money when one considers the extra costs connected with a split, from AAR to the logistic and training differences. Ultimately, the number of airframes is very possibly the least significant data in the equation. The question is how many F-35 squadrons the RN and RAF can generate and sustain. With current manpower levels, that is 4, of which 3 are needed just to be able to fill up one single carrier at least in time of need. After spending billions on the carriers, being at least in theory able to fill up at least one has got to be the bare minimum requirement. Otherwise CVF will truly turn into an utter waste of money. Also, remember our endless discussions about the army needing 5 units to keep one deployed? The RAF isn't actually different if harmony guidelines are to hold. Tornado currently supports an enduring deployment in Cyprus with 3 sqns, but the deployment is of 8 jets, not 12. Math is a cruel mistress. As i say in the article, 138 aircraft are possibly enough for 6 squadrons, but manpower is not. See also comment above in reply to Mike R.
As for the squadrons, i intend them as RN and RAF combined. The RAF is budget holder and owner of all F-35s. The RN is merely a contributor providing (if it'll be able to) 40% of manpower in the squadrons. There are no "RN" and "RAF" squadrons. There are mixed squadrons, some of which with RAF badge, some with FAA badge. Maths is indeed a cruel mistress and appears to be one which most members of the armed forces, as well as our political class, either wilfully ignore or are ignorant of (other than the number of Army Infantry Battalions obviously - although of course not deployable battalions obviously). 1. Max number of squadrons available currently on manpower / affordability - 9, maybe 10 (although note Dani's point that under current manning they appear unable to deploy 12 aircraft). Lets say 9 to allow them to actually use their aircraft and maybe expand with savings from F-35A. 2. Minimum number of F-35B squadrons to enable effective use of two £6bn aircraft carriers - 4. So looking at the split buy idea, you could go for 80 F-35Bs for 4 squadrons, leaving you 58 F-35As for 2-3 squadrons. Industrial concerns and "sovereignty" would suggest number 1. Monetary concerns would suggest number 2. Capability concerns would suggest number 3. In the current UK climate with both money and Europe, I would suggest number 2 is the most likely outcome, but who knows? Ｉactually think f-35Bs are more relevant, even in an land-based role. What do we have all this high-tech for, if it isn´t to deter Russia, our only peer adversary? Which is more effective for that? The f-35A, with slightly longer range, but whose tankers will be shot down by S-400s, or the f-35B, which can be deployed inside the Russian A2AD? 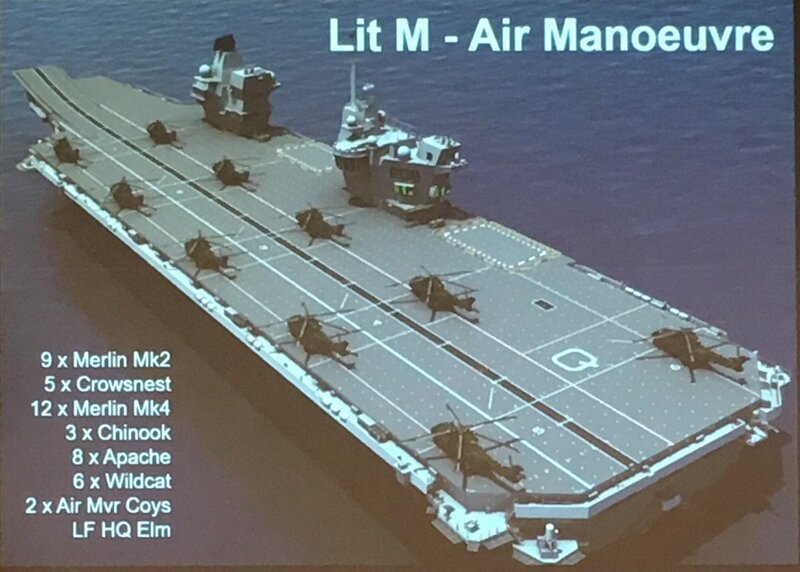 And if we want them for more expeditionary wars, there is no contest, since the f-35B can be based both on the carrier and on austere air bases. Previous to reading that I had been thinking: “Well, if only 48 F35Bs are to be allocated to 4 squadrons, then that will still leave approx. 90 aircraft (if the full quota of 138 is to be procured). What will that 90 do? Sit around in hangars twiddling their redundant weaponry? Even allowing for OCUs, attrition, etc., that still leaves a hell of a number of aircraft. This is all rather new to me. Are you saying that within any given squadron, there will be mixed pilots, some from the RAF and some from the Navy? Will that make for cohesion operationally (each service having its own operating procedures, traditions, even lingo! etc. etc.)? Then there is the whole question of the Tornado retirement. Its OSD is 2019 and I can appreciate from your arguments that there will simply not be the manpower to operate them past that date. However, I did read an article recently (and I cannot, for the life of me, remember where I read it, but the gist of it seemed to be that the Tornado was still the best aircraft to act in the bomber role (because of weapon fits etc.) i.e. superior in such a role to Typhoon, F35B and even FCAS). I don’t suppose there is the slightest possibility of it being “run on” for a few years, is there? The Germans certainly believe it still has a value and they have refurbished their aircraft and are keeping them in service. For what we have been told so far, Joint Force Lightning squadrons will indeed be mixed light and navy blue. Carrier deployments will happen according to an "agreement" between services that is being crafted. Hopefully the RAF does not throw all to hell, but talk of split buy so early is not encouraging at all. I don't think Tornado GR4 can go on. Maybe some of the aircraft could, but the fleet is not sustainable. The OCU disbanded, the last back-seater was trained years ago by now. The fleet is on a time-limited course, and approaching the end. Manpower will have to move elsewhere. As for the Germans, and Italians i'd add, you have to keep in mind that their Typhoons are very limited in air to ground, as they haven't invested in anything comparable to the RAF's Project Centurion. So, they don't really have an alternative to running Tornado on for longer. A follow on question - have the German and Italian Tornados even been upgraded to the equivalent of GR4? I don't believe they have - instead just going through a structural upgrade? They have added upgrades over time, in a much slower and more gradual way. That means that only a part of the fleet has actually progressed all the way. As I read the fast jet situation, the 138 replacement aircraft is the total number of fast jets? Short term, 48 F35B, the rest Typhoon. (This may change as the number of Typhoon squadrons is to be increased). Long term, I don't see any reason why the 90 Typhoons can't be replaced by F35A, as they are cheaper. but it seems a waste of money to have them all as F35B type, as they are both more expensive to run and less capable then F35A. But I am not a fly boy, just my thoughts. and the Typhoons maybe replaced by balloons that can drop letters of love and peace. 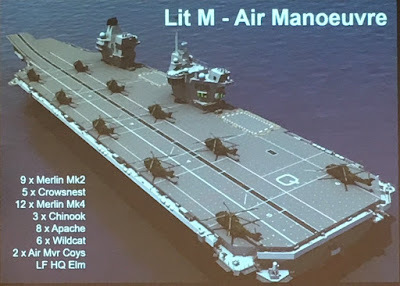 I completely agree that as the centerpiece of the UK's military capability providing the carriers with a sufficient number of jets has to be the absolute priority. Given the need for an eventual 4/5 squadrons to provide 1 continuously, 2 at regular intervals and 3 in a wartime scenario it's safe to suggest that we will certainly need to buy more than the initial 48 F35B. However does this in turn provide a strong enough rational to go ahead and buy 138 of the B variant? Perhaps by 2030 we'll see 80-90 in service or on order and the flexibility of having an all B fleet will lose out to the RAF's craving for some F35A all to itself in the name of the price and a greater endurance/payload? On the other hand who know's what the situation will be in 15 or more years time! Maybe the unit price will dramatically fall, or perhaps V22's will be providing tanker support to mitigate the range issue. Advances in weaponry could be another factor, or maybe unmanned technology will be superseding traditional fast-jets altogether! Given the financial climate the MoD has to work under and the investment in 50 new Apaches/20-30 protector's to add to the force mix i'd say 10 fast-jet squadrons is a sensible baseline to aim for. If i had to have a stab at a predication i'd say 8 Typhoon and 2 F35B squadrons in 2023 will be giving way to 6 & 4 by the early 2030's. The push will then be for 60ish F35A to fulfill the UK's industrial commitment and depending on it's air superiority credentials perhaps more to replace the remaining tranche 2/3 Typhoon's. Personally i think it would be safer to keep 2 wholly different types in service and to develop a European follow-on to Typhoon, but i'm not sure the UK will have the stomach for all again. I agree the RAF should not in anyway be allowed to sabotage the return of real carrier power to the UK. But just being a devil's advocate for a moment, do we know much about the projected fatigue life of Typhoon in the late 2020s? Assuming the 4 squadron F35B force supporting the carriers is bedded down, supported by periodic USMC deployments, what would be the harm in standing up 2 F35A squadrons to take over some of the burden? Say SEAD. Are the support differences between A and B really any more significant than say the difference between tranche 1 and 3 Typhoon? A late buy of F35As which by then will have come down in price could be a smart investment. It could actually reduce the RAF's call on the Bs. Also opens up potential cooperation with other European A customers - like Italy. Also I'm not sure the numbers per squadron is directly comparable to Typhoon, given that F35 will have an ongoing production line, from which we can call attrition replacements on an as needed basis, Typhoon purchases were driven by workshare and politics. Again, once 4 B sqn are there, i'm not opposed in principle to an F-35A purchase, but the question remains who is going to man the A squadrons. Is the RAF growing? I don't think so. So, they will have to replace further Typhoon squadrons. I also continue to question the wisdom of splitting the fleet. As similar as they might be, F-35B and F-35A are not the same thing, so you'll end up having a tiny number of deployable F-35As from 2 squadrons; plus the deployable F-35Bs. If you had six squadrons of the same type, you'd almost certainly have a better deployable fleet number. I guess I'm cynically thinking the Typhoon fleet might shrink, I read somewhere the RAF was using fatigue life at twice the rate of the other partner nations. How competitive will tranche 2 be by the late 2020s? But I agree it's way too early to make that call, it smells like a RAF land grab. 1. Remove the independence of the RAF. 2. All transport aircraft and helicopters, attack helicopters (and support infrastructure) given to the Army Air Corps. 3. All fast attack jets, future maritime patrol aircraft and surveillance planes will continue to be operated by the RAF but under the control of the Royal Navy. 4. The disbanding of the Fleet Air Arm with the RAF providing all shipboard air support, but as mentioned under the control of the Royal Navy, (similar in scope to the relationship between the Royal Navy and the Royal Marines). This would not be popular in certain quarters, ironically with me on the removal of the Fleet Air Arm, but would save both money and reduce the infighting. CORRECTION: the removal of sea based air support over the last few years. Ah Bruno, the good old "The Hundred Year Experiment has been tried and failed" idea. I actually quite like it personally and it certainly makes good sense and carries fiscal fortitude, but when has that ever been the foundation of parliamentary policy? Unfortunately the extensive infighting this would generate would likely far outweigh the current political playground squabbling and eat into any potential savings.............plus it would be so much more difficult to ridicule the Crabs as they take up surrogate status. I think your fundamental assumption is incorrect, but instead of weakening your argument actually strengthens it further. 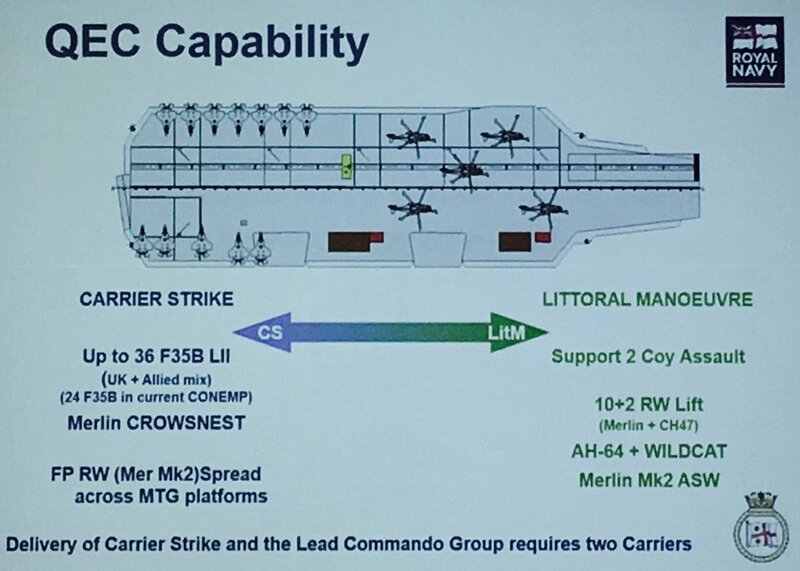 The planning assumption must be that both carriers can deploy together at full load (36 F35b's each). This is what happened during the Falklands campaign and whilst not likely to happen - defence is all about worst case scenarios and therefore at a peak we need to be able to field 72 F35b's and have a sustainment pool for maintenance, training, losses and, OCU and R&D. I would suggest the minimum operational fleet size is circa 96 aircraft and the other change for me is that a squadron should be 16 air frames to allow for 4 to be in flight, 4 high readiness, 4 returning and 4 in maintenance (during operations). The UK Armed Forces also need a single force structure with assets clearly aligned to tasks and under divisional command in my opinion. This will have the result that our forces are supported by what they need for support in light of their tasking. Just like the USMC model.